Are we living during the times that the Bible refers to as “the last days”? 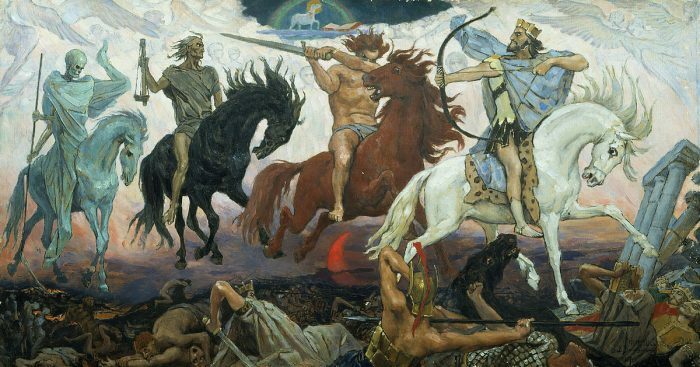 Normally this is an issue that is discussed in religious circles, but recently some mainstream media outlets have been publishing articles about signs of the end times that appear to be coming to pass right in front of our eyes. In fact, the Mirror recently posted an article entitled “The THREE signs that Biblical prophecies about end of the world and the Messiah are ‘coming true'”, and it is creating quite a bit of buzz among Bible-believing Christians. It is certainly true that Israel would not be able to rebuild the Temple and begin the sacrificial system again without the ashes of a red heifer. Whether this is the precise fulfillment of Ezekiel’s prophecy can certainly be debated, but without a doubt major changes are happening to the Dead Sea. In Jewish literature, a pigeon or a dove often represents Israel, and Satan has been associated with a snake from the very beginning. The claims were made after video of the snake scaring away a pigeon was posted on YouTube before being picked up by Hebrew bloggers. The bloggers claim the symbol of a pigeon fleeing a snake shows we are living in ‘dangerous times’ directly pre-dating the coming of the Messiah. Without a doubt, we are definitely living in perilous times, and Jesus is coming back soon. But according to the Bible there are still many events that must take place before He does return, and our planet is going to go through a tremendous time of chaos. We are certainly plunging toward an abyss of evil, but unfortunately most average citizens have absolutely no idea now bad things are going to become on planet Earth. As a society, we have greatly rejected God, and the stage has been set for the rise of Antichrist. But the good news is that Jesus will ultimately defeat the Antichrist, and those that have read the end of the book know that we win in the end.